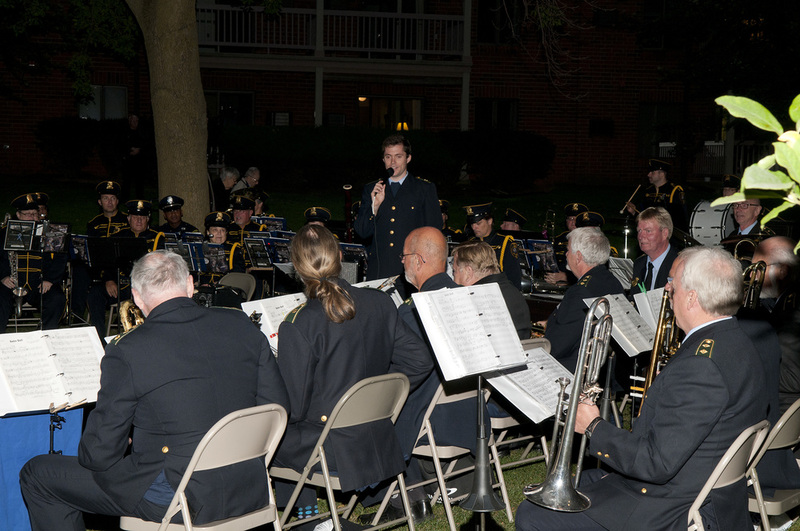 These photos are a reflection of some of the more recent performances of the police band as musical ambassadors for the City of Milwaukee in partnership with the community. Additional historical photos are also located in the History portion of this website. 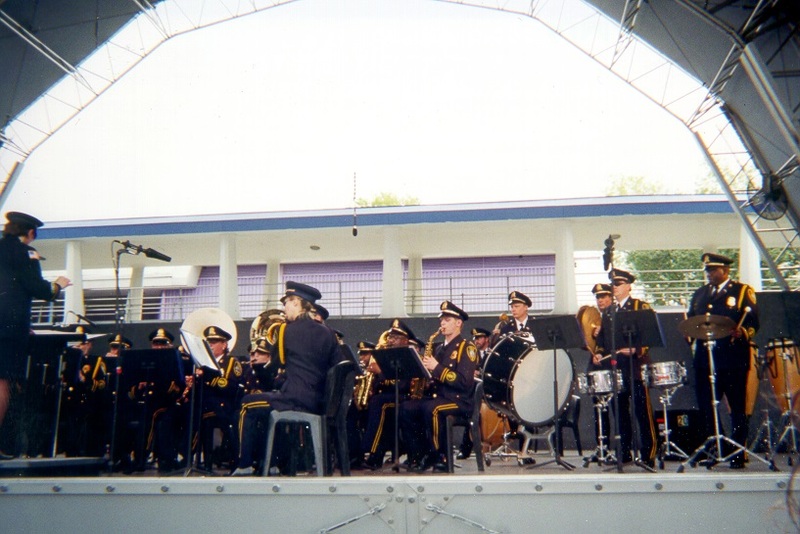 Milwaukee Police Band performed in several venues in Savanna, Georgia in 2012. Milwaukee Police Band Vocalist Detective Carolyn Tillman performing with the band in 2012. Year after year the Milwaukee Police Band proudly performs for the children and young adults participating in the Special Olympics Opening Ceremonies. The police band marched in the great Circus Parade in Milwaukee in the years 2000-2003 and 2009. Performing for police officers children at the Safety Academy for the Holidays. 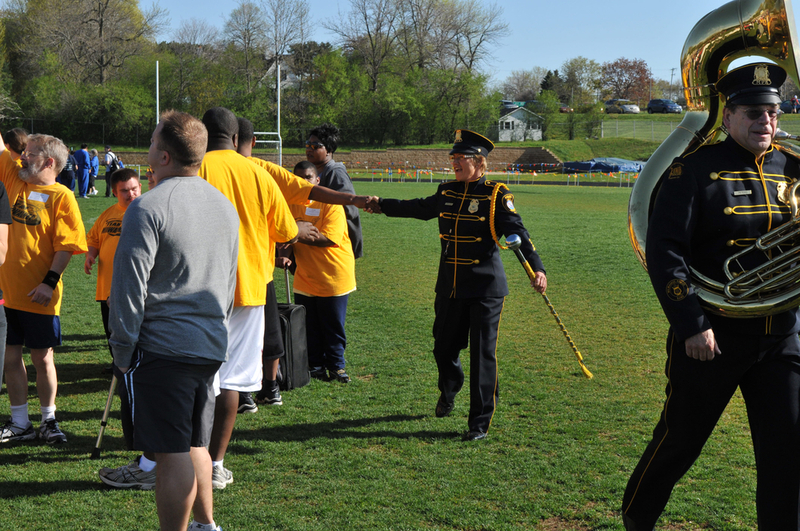 Police Officer Mary SIkora, an accomplished Clarinet player also performs on percussion instruments with the band. The band participates with other area musicians each recording a Christmas song for a CD produced and sold by the Agape Community Center to support their community meal program. Aalborg, Denmark Police Orchestra joint concert. 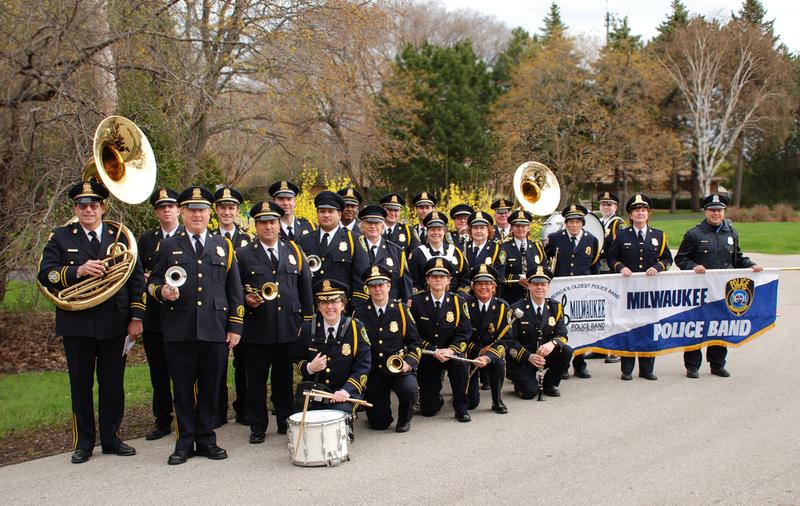 The Milwaukee Police Band performed a joint concert with the Aalborg Denmark Police Orchestra on September 24, 2011. Director Dubis giving instructions to band members regarding their next performance. The band wanted to be mobile performing in various locations for the fun run, so a flatbed was rented for the occasion. The band sometimes has break out groups from the band members such as this Dixieland band. Milwaukee Police Band performing the Band of Brothers piece with Police Band Vocalist Shannon Smikowski. The jazz ensemble is performing at the Pabst Theater 2012. 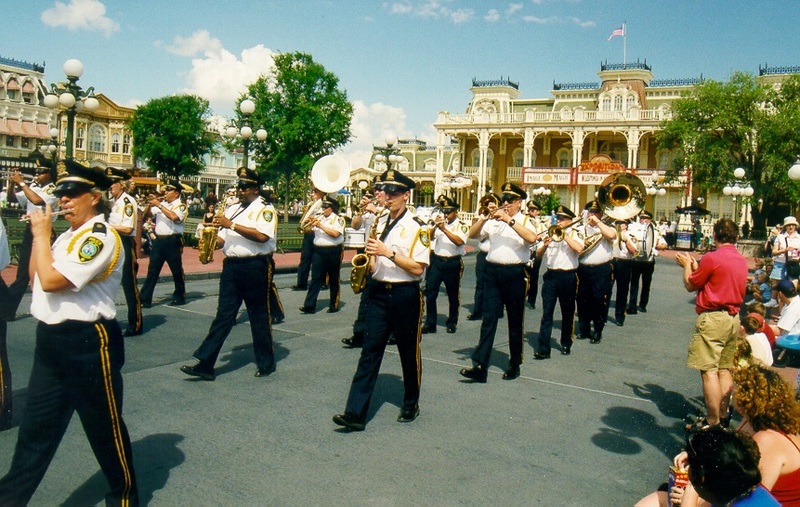 Police Band performing on the Tomorrowland Stage in Florida.